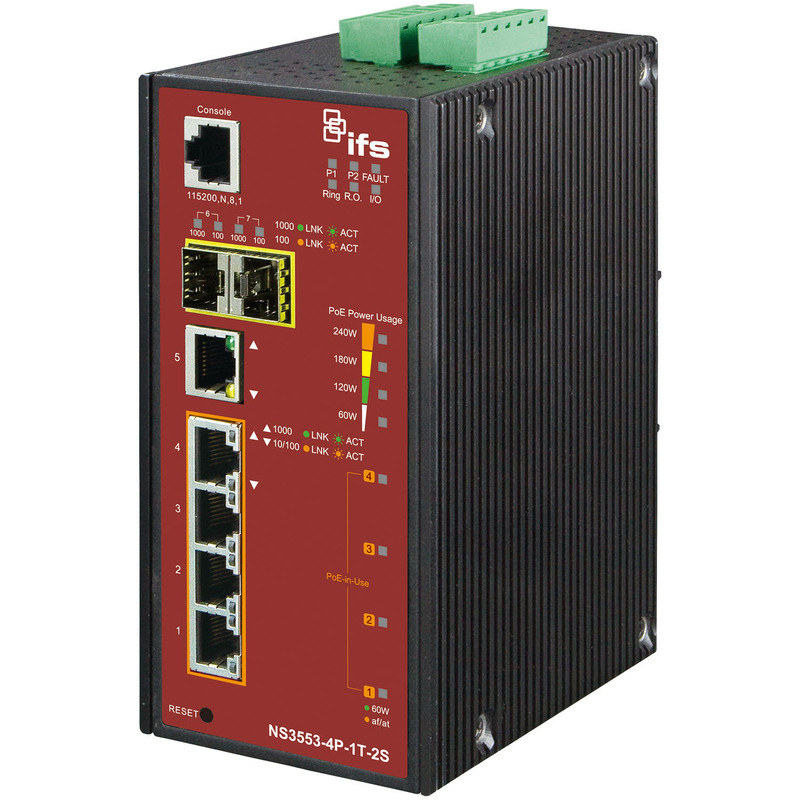 The IFS® Industrial Gigabit PoE+ Managed Switches by Interlogix are fully managed Layer 2 switches providing an industrial hardened design. This design provides for operational recovery in the event of a network or power system failure. 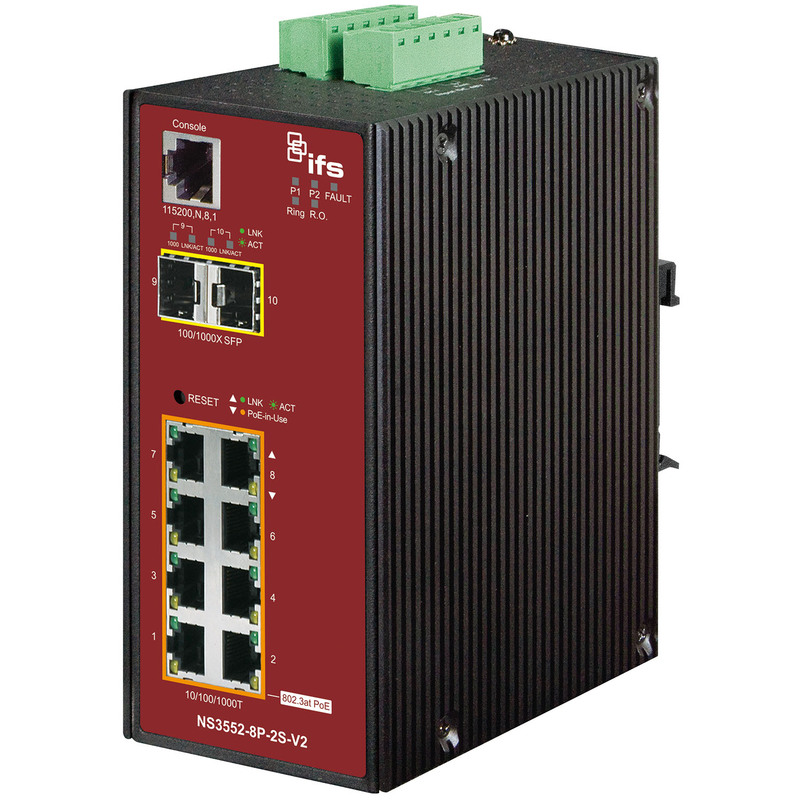 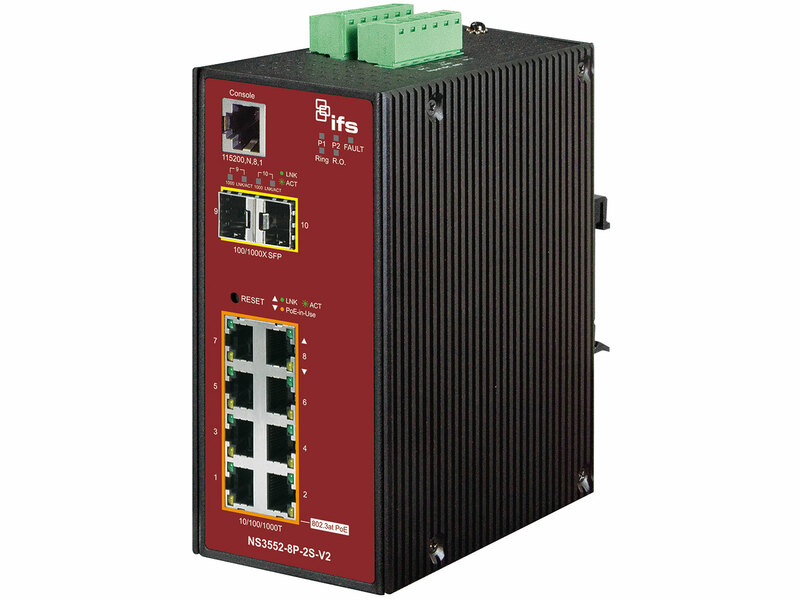 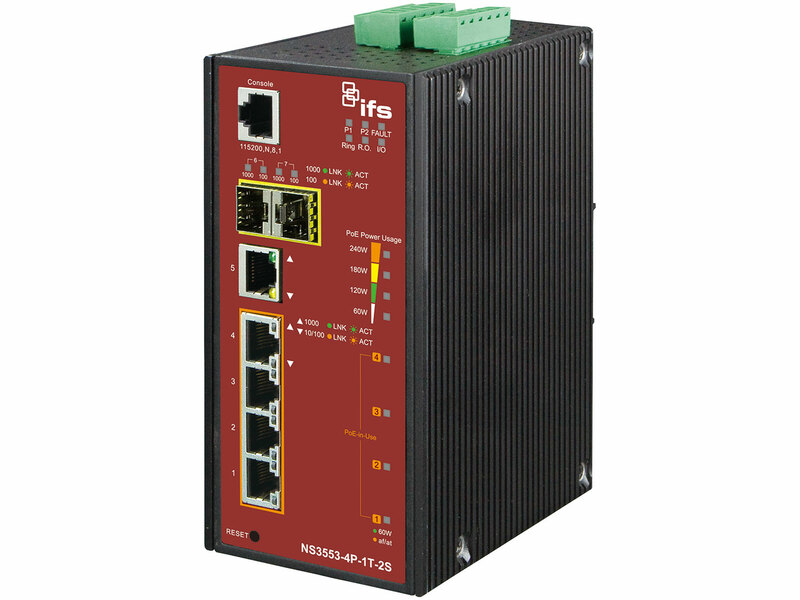 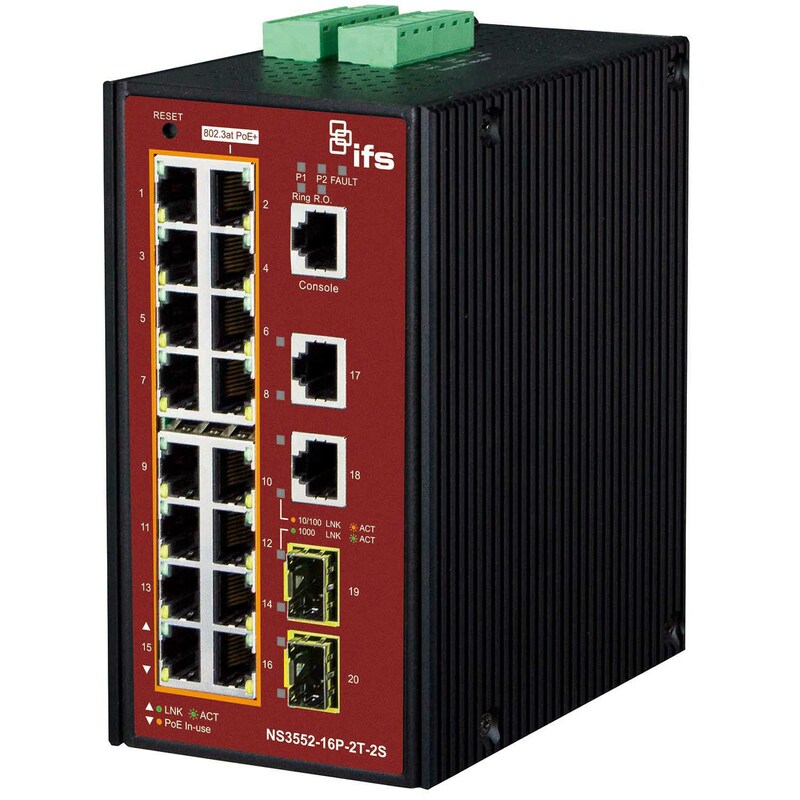 The IFS NS3552-8P-2S-V2 is an Industrial Gigabit PoE+ Managed Switch equipped with eight 10/100/1000Mbps RJ45 ports with PoE+ (30w) capabilities and two 100/1000Mbps SFP (fiber) uplink ports. The IFS NS3552-16P-2T-2S is an Industrial Gigabit PoE+ Managed Switch equipped with sixteen 10/100/1000Mbps RJ45 ports with PoE+ (30w) capabilities and two Gigabit RJ45/SFP (fiber) uplink ports. 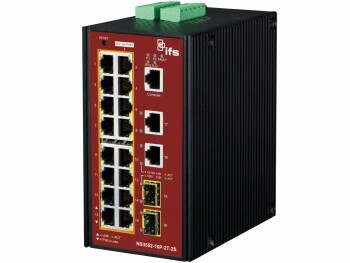 The IFS NS3553-4P-1T-2S is an Industrial Gigabit PoE+ Managed Switch equipped with four 10/100/1000Mbps RJ45 ports with PoE-Ultra (60w), one 10/100/1000Mbps RJ45 ports and two Gigabit RJ45/SFP (fiber) uplink ports.